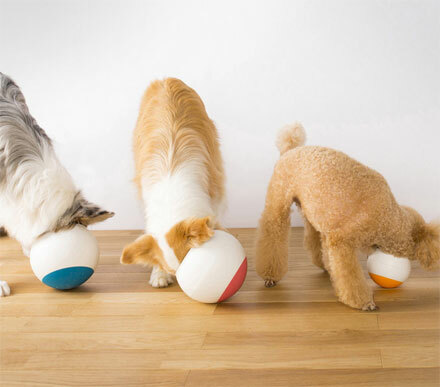 The Oppo food ball is a dog food bowl that is in the shape of a ball to help slow down your dogs eating habits. 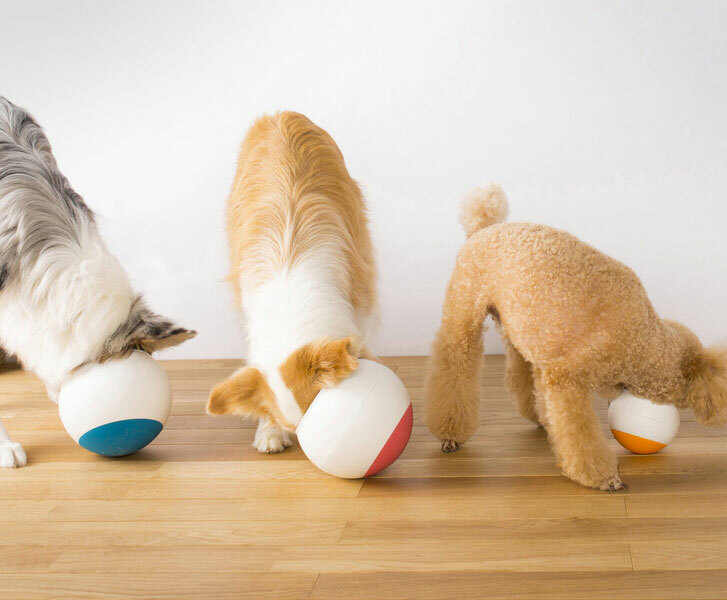 Lets face it, your dog has seen you take down too many greasy cheeseburgers by now and has started to imitate your eating habits. 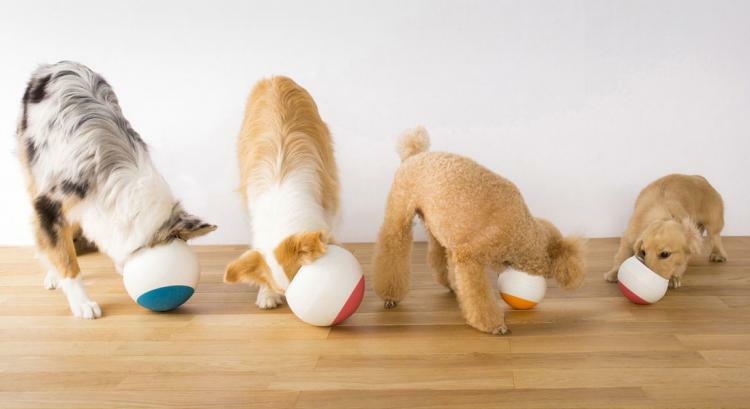 Not only is this unhealthy for you, it's also unhealthy for your dog, as eating too fast can lead to choking, bloating, or even digestive problems that can lead to death. 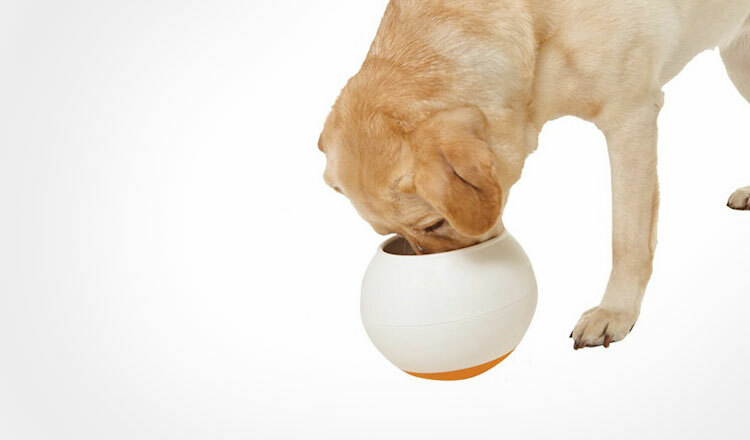 The Oppo food ball allows you to continue your disgusting eating habits without potentially murdering your dog. 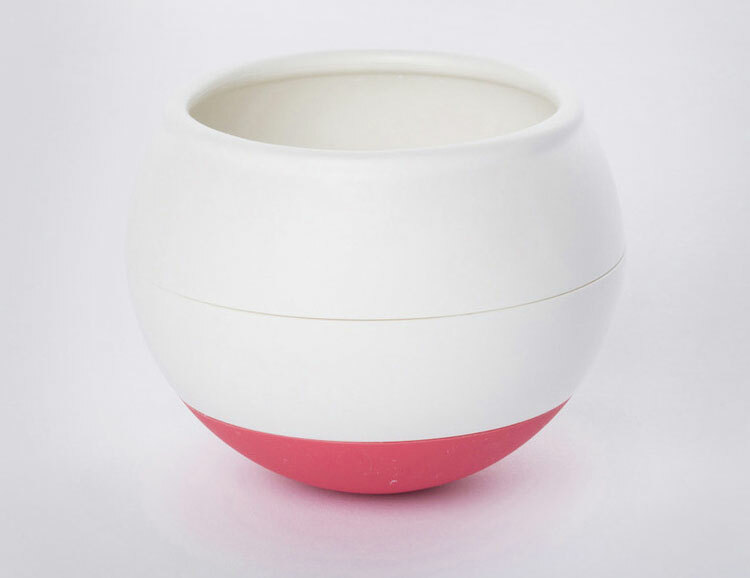 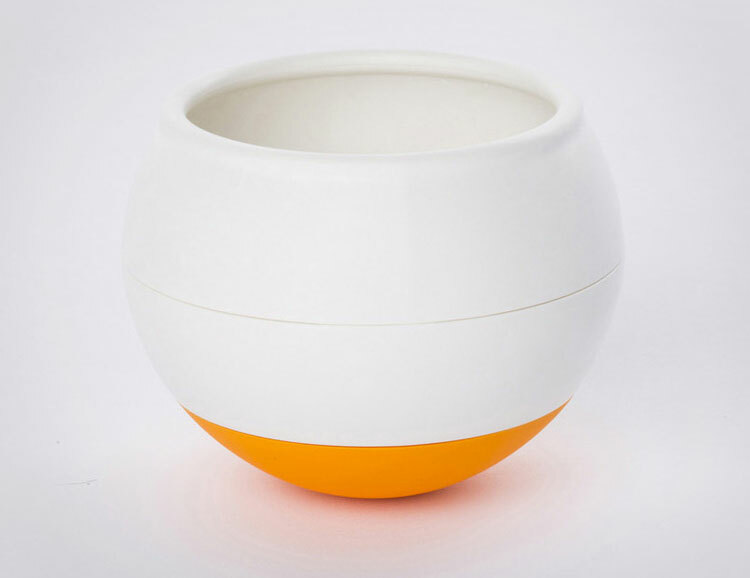 Since the Oppo food ball is shaped like a ball, the bowl will constantly spin in place to make it harder to get large amounts of food at a time, plus it has a notched separator inside the bowl to help ration the food into different bite sized servings. 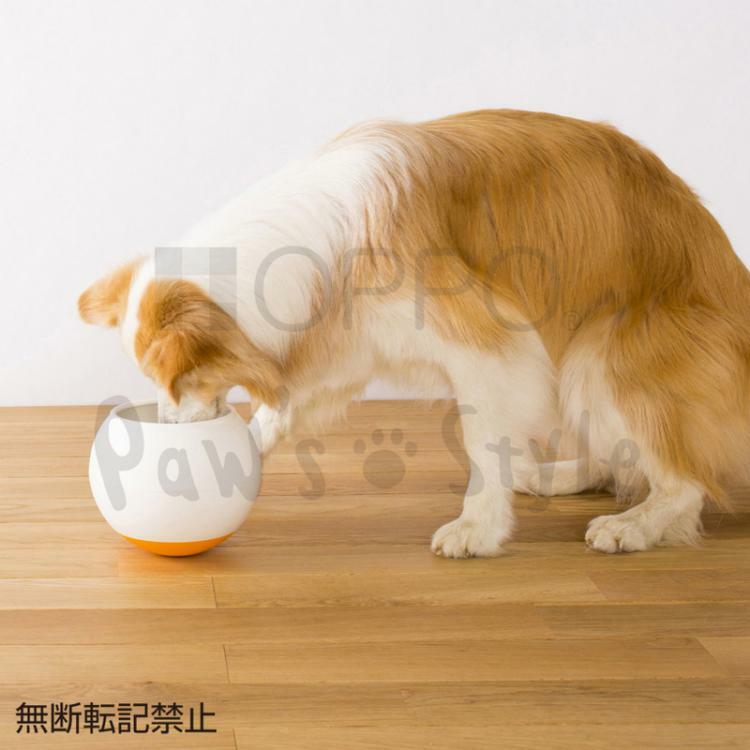 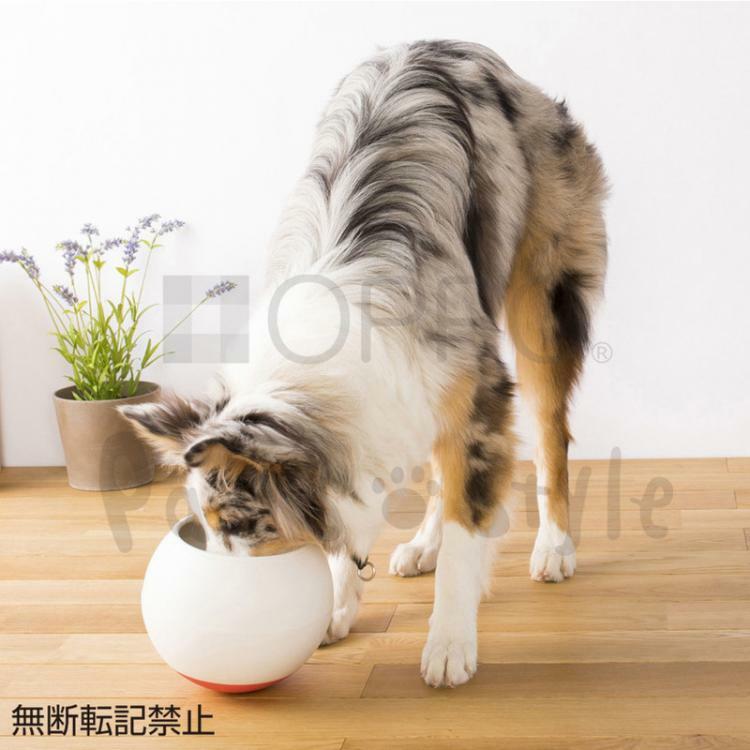 The Oppo food ball is made out of Polypropylene, is designed and made in Japan, comes in two different sizes depending on your breed of dog: a smaller one that measures 4.3 inches x 4.3 inches x 3.3 inches, and a larger bowl that measures 6.9 inches x 6.9 inches x 5.7 inches. 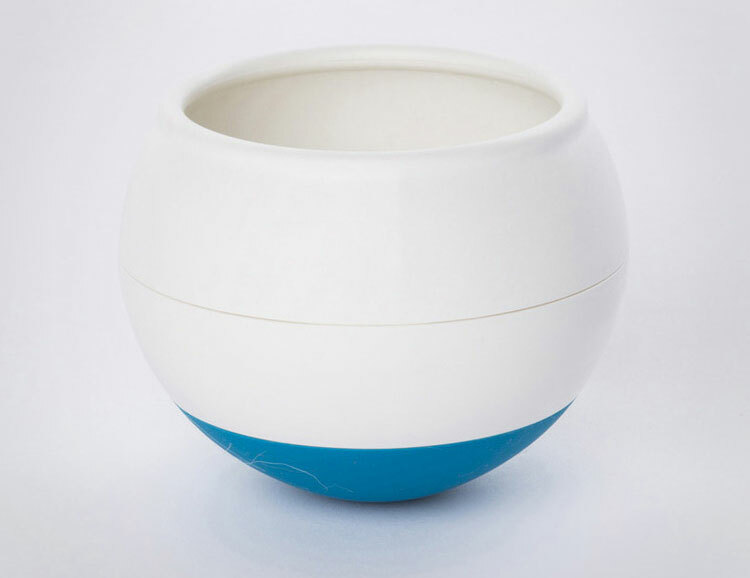 The bowl also comes in three different colors to choose from (blue, orange, and red). 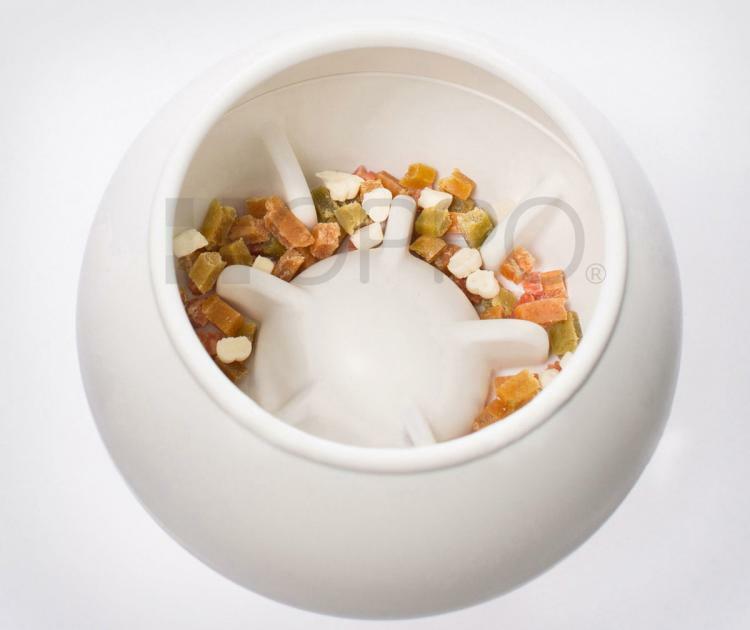 Check out the Oppo dog food ball in action via the video below.